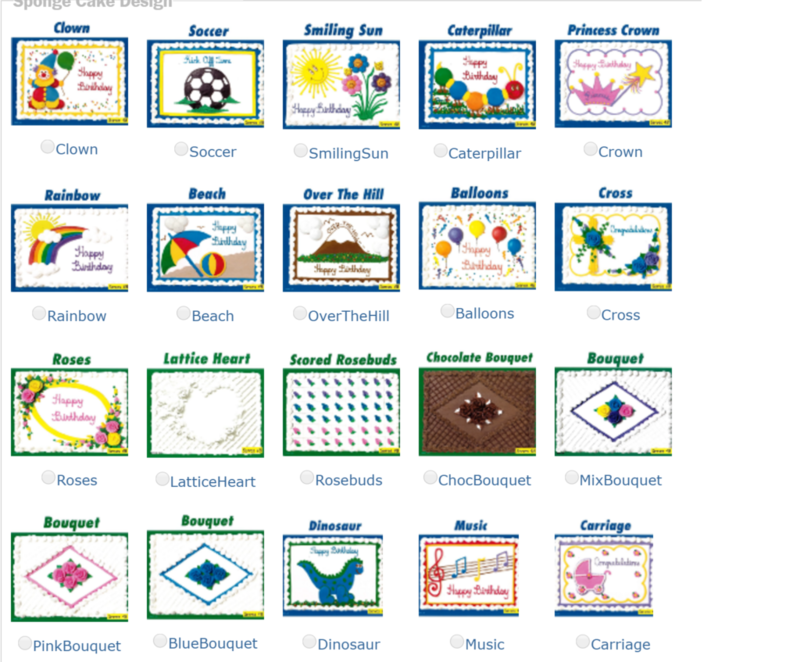 They grow up so fast and now they are walking across that stage where their school colors and cap n’ gown. 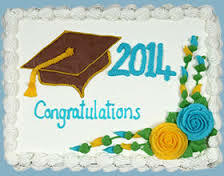 Their name called, diploma in hand, and the look of pride on their face, it is a day to remember. Gone are the long sleepless nights before exams and deadlines. 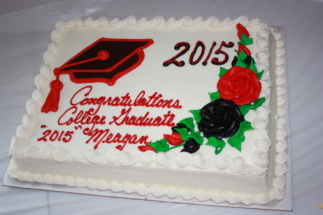 Now come the days where your graduate steps out onto their own to conquer the world… after some cake! 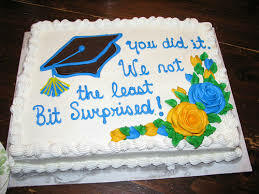 It’s party time and why let stress yourself out about the baking? 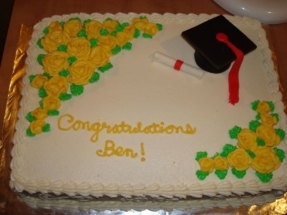 Let Costco take care of the cake for your graduation party. 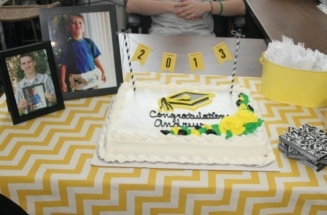 Costco graduation cakes are a delicious option that feeds up to 48 people. 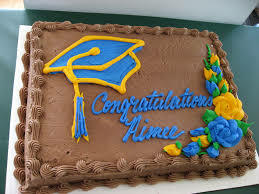 Costco staff will work with you to create a cake that matches your grad’s school colors, mascot, or anything else that personalizes it for them.